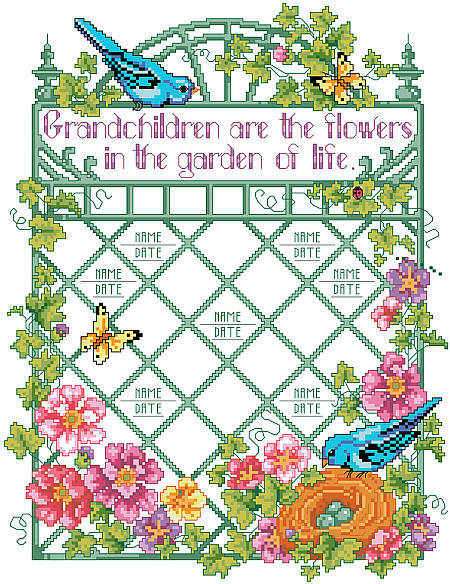 Commemorate the names of all your grandkids with this beautiful garden design. 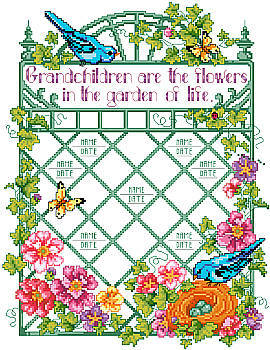 With spaces for up to 16 names and dates, this garden of treasures is a counted cross-stitch design destined to become a cherished heirloom. Makes a great mother's day or grandmother's day gift! Contents: Stitch count 145w X 189h, finished size on 14 count 10-1/4" X 13-1/2"